Traveling, like other changes in routine, can be highly stressful for a senior with dementia. However, if your parent is in the early stages of dementia, an enjoyable getaway might still be possible. Here’s what you need to know about traveling with dementia. Be sure to bring copies of important documents with you. Both you and your elderly loved one should have a copy of their identification. Similarly, you both should carry copies of doctor’s contact information, medication list, insurance information, and food and drug allergies. Prepare your hosts. If you’ll be staying with family or friends, let them know of any changes that have occurred since the last time they saw your senior. Tell them how they can help you during your stay and how they can put their guest at ease. If you’ll be staying at a hotel, speak to the staff about any needs you might have. Inform them privately about your senior’s condition and ask them to let you know if they see him or her walking around without you. Consider bringing someone else with you. Your elderly loved one will likely require a fair amount of attention and care. Bringing another person can help ease the stress and let you concentrate on other details of the trip. Be patient, adaptable, and realistic. Things won’t go perfectly. Remembering that will help you to be less frustrated when problems do arise. Have fun! 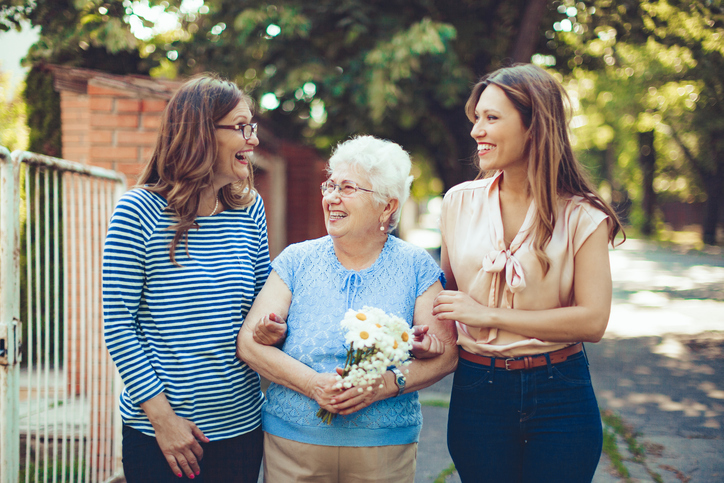 While traveling with a loved one with dementia comes with its complications, it doesn’t mean you and your family can’t enjoy the trip and relish the quality time together. If you come to the conclusion that your loved one is simply unable to travel, have you thought about getting a healthcare professional to care for them while you’re away? Please contact us today for information about our home healthcare services. For more information about David York Agency’s qualified, compassionate caregivers, contact us at 718.376.7755. A free phone consultation can help you decide what services might be best to provide you and your loved one with the assistance they need. If you’d like to hear more from us, please like us on Facebook or follow us on Twitter, Google+, or LinkedIn.